The following is a guest article by Adam Kaufman, a master personal trainer for more than two decades and the owner of Core Physical Culture. 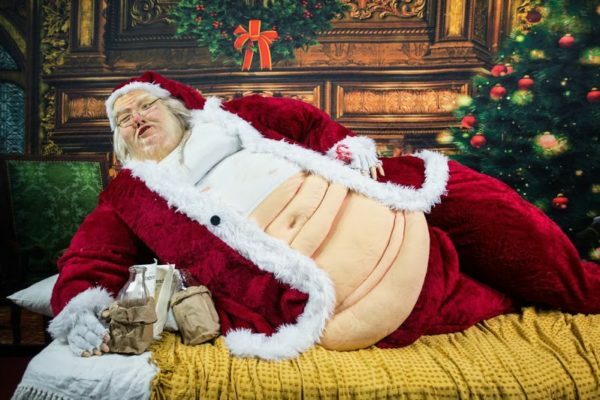 As sure as Clarence will get his wings and consumerism will run amok, the holidays bring a deluge of articles about navigating the treacherous waters of holiday weight gain. From boozy office parties to homemade baked goodies, December we’re told, is undeniably the killing fields for many people’s waistline. 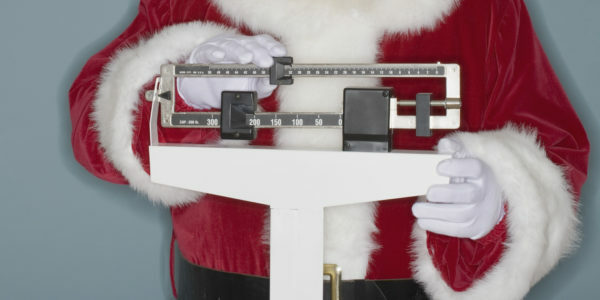 Five to seven pounds–maybe as many as ten–are hanging in your holiday stocking, they say. The problem is, those articles are works of fiction. Unless you’re really, really trying it’s pretty tough to stack on ten pounds in a month, even half that requires some genuine effort. Not all is jolly, however. It isn’t uncommon for the average adult to put on between one and two pounds a year and often that new weight appears over the holidays. An extra pound or two may not seem too bad except most who add the weight will never shed it and over the course of twenty years things start adding up. This is where the rubber meets the road and the myth of holiday weight gain gets tossed out with the fruitcake. As with most things, the solution is both simple and challenging to execute. Rather than worry about holiday pounds I–a certified professional–suggest you eat, drink, overindulge (a little)…and focus on the other eleven months. Fitness, weight gain/loss, wellness and good health aren’t seasonal, what they are is a shift in lifestyle, one that requires a sustained effort. Much like that pound you put on each year, the effects of living just a little healthier on a daily basis are cumulative, one doesn’t require radical change but rather small lifestyle adjustments that remain consistent over time. This isn’t to dismiss making radical changes, particularly if you’re obese or have high blood pressure or a family history of heart disease, for instance. But if you’re perhaps 15-25 pounds heavier than you were in college, focusing on staying away from the eggnog and not having that sugar cookie aren’t going to do much to improve things, your problems didn’t start on Black Friday and won’t end on January 1st. On the contrary, the solution can be found on New Year’s Day or tomorrow or right now in the form of just a modicum of resolve. It’s been my experience that the New Year’s resolutions-any personal resolution, for that matter-that endure tend to be a little less ambitious, a little more in the realm of the possible. I pledge each year to be just slightly better than I was last, just a little kinder, a little more generous, a little more patient than I have been. That’s it. If I manage to live up to my resolution each year, an entirely reasonable expectation, ten years hence I’ll be a radically better person than I was when I started. The same principle holds true for your fitness, set a goal you’re likely to achieve, then another and another. In time, all those little evolutions will culminate in some truly revolutionary changes to your health and appearance and the caloric gauntlet that is the holidays will melt away.. This may not be the answer you were hoping for, it’s not glamorous, it’s not magic but what it lacks in charisma it more than makes up for in effectiveness and durability. Adam Kaufman is a master trainer based in Madison NJ. He can be reached at corephysicalculture@gmail.com and his Facebook Page for new clients in the new year.